eTrading OmniChannel Solution - Trading Any Time, Any Where! 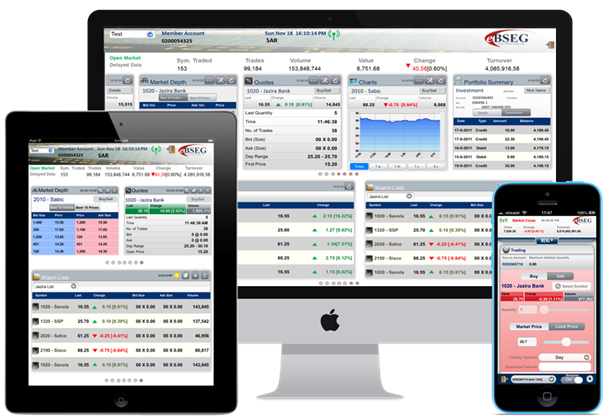 Safe, Secure, Fast and Simple, ePoketTrader™ is a Omni-Channel brokerage system wrapped in a beautifully designed web and or mobile UX, that allows for everything your customers need to successfully manage their trading and investment requirements. eBSEG understands that trading and protecting your investment portfolio is serious business, where there is no margin for error. We provide a comprehensive web and or mobile ecosystem that offer’s every tool your customers will need to make trades, review their positions, communicate with professionals and monitor markets, all in real time, from ANYWHERE, ANYtime! Our focus in developing this easy-to-use powerhouse solution was based on the “customer outcome” which translates to allowing customers to focus on what is most important, making money and protecting their hard earned investment positions, swiftly and securely. ePocketTrader™ users enjoy real time, comprehensive trading functionality and related real-time market information by providing an amazing UX, every time, using the latest in web and mobile technologies; powerful, easy to use and beautifully designed.